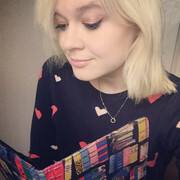 Hello Cally, a huge bookish welcome to Bookaholic Confessions. Thank you so much for taking part in this interview. Please could you kick things off by introducing yourself? Hi Holly, thanks for inviting me to visit your blog. I’m C.L. Taylor, otherwise known as Cally, and I’m the author of five psychological thrillers and one young adult thriller (all of them published by HarperCollins). I live in Bristol with my partner and our six year old son. The Fear is one of my most anticipated releases of 2018. I am DYING to get my hands on this book (it’s released 22nd March 2018 with Avon)…Can you tell us a little bit about your latest novel? The Fear is about three women whose lives are changed forever as a result of meeting one man, karate teacher Mike Hughes. 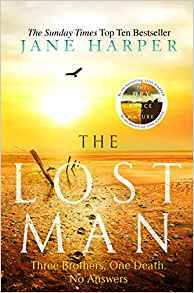 When Lou Wandsworth, the girl he ran away to France with when she was just fourteen, returns to her home town to clear her late father’s house, the three women’s lives intersect, and more than one of them are in danger. How did you come up with the idea behind the storyline for The Fear? I had the basic idea for The Fear for a while but it wasn’t until last year that it all started to come together. Without wanting to give too much away I wanted to write a novel about the power play between a prisoner and their captor but, when I sat down to write it last year I realised that I had the back story all wrong. Instead of my main character confronting the man who was responsible for her sister’s disappearance eighteen years earlier she would be confronting the man who groomed and seduced her as a teenager and convinced her to run away to France with him. The idea immediately appealed. It was so much more powerful and – importantly to me – unusual than my original idea. There was one particularly high profile news story about a school girl who ran away with her teacher that dominated the paper for months. I was interested, not so much in the grooming angle, but on the impact that experience would have on the girl as she became a woman and started relationships with other men. 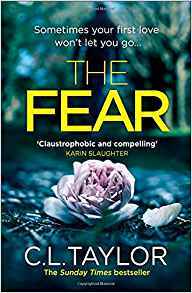 The Fear is your sixth book released under the pseudonym of C.L Taylor, do you still feel those pre-publication day nerves or does it get any easier with the more books you release? Your last book, The Treatment, was your first Young Adult novel. How did your writing process differ when writing for a YA audience? Did you enjoy it as much as writing your adult-targeted novels? I’m very lucky in that I get to alternate between adult psychological thrillers and YA thrillers. My adult thrillers are much more emotionally taxing as I tackle much darker themes so I almost need to brace myself emotionally before I start writing one. I go to much darker places in my head. 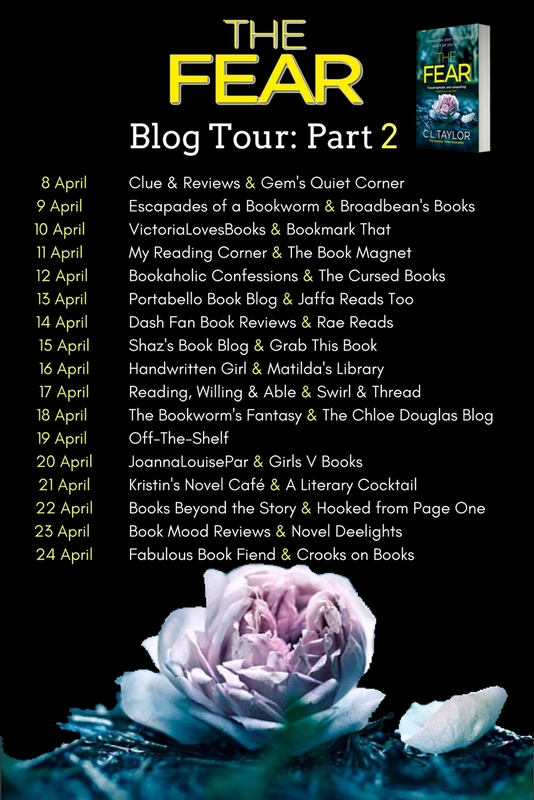 My YA thrillers are about three quarters of the length of the adult books and, whilst I still work as hard to plot and research them, I can have more fun whilst writing the action scenes and I really enjoying tapping into the fears and preoccupations of my teenaged self. 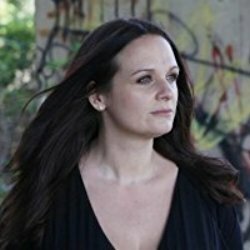 What is your favourite thing about writing thrillers? I love writing scenes where my characters interact with each other. I particularly enjoy throwing two characters with opposing goals into a scene and seeing who wins. Basically, I love writing conflict. I also love writing action scenes, real ‘heart in the mouth’ will she or won’t she escape/survive scenarios. They make my heart beat faster and my fingers fly over the keys. Who are your favourite authors and which genre of books do you enjoy reading yourself? This is possibly a little odd for a crime author but my favourite authors are all a result of my fascination with dystopian novels as a teenager. I love George Orwell, Aldous Huxley, Margaret Atwood and Ray Bradbury. I’m also a huge Maggie O’Farrell fan. Crime wise I absolutely adore anything Belinda Bauer writes and I’m a huge fan of lots of my psychological thriller contemporaries including Mark Edwards, Tammy Cohen and Lisa Jewell. I’d tell them that success is one part talent, one part determination. This may be controversial but I don’t think any author is born talented. We all have to work at it, put the hours in, experiment, ask for feedback and learn from it. And we’re all voracious readers. We also have to learn to bounce back from set-backs. I know so many authors who had book after book after book rejected by agents and then they hit the jackpot with book five, six or seven. I also know aspiring authors who gave up at the first rejection and haven’t written a word since. A published author is someone who refused to give up. This year is another busy one for me as I’m currently writing my sixth psychological thriller for adults. Then, almost as soon as I’ve completed my edits etc, I need to start writing my second YA thriller. I recently spoke to my YA editor and she signed off on my idea. It’ll be quite different from The Treatment and I can’t wait to start writing it. A huge thank you to Cally for answering my questions.